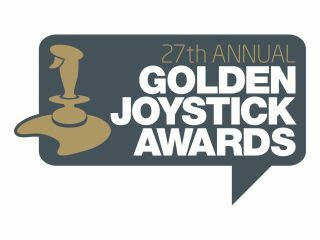 Golden Joystick Awards voting now open! Golden Joystick Awards. Vote now! Since 1982, the Golden Joystick Awards has been a barometer of the videogame world. The awards are voted for by the public and cover all aspects of the videogame industry – from the developers to the retailers. Last year's ceremony garnered 850,000 votes and its organisers, TechRadar's publishers Future Publishing, are hoping this year it's even bigger. So, which games of the last year will you vote for? Whether you are a fan of Henry Hatsworth In The Puzzling Adventure or Call Of Duty: World At War, have your say at www.goldenjoystick.com now. May the best handheld, mobile, multiplayer, PS3, DS, 360, PSP, Wii, PC game win!